Units of Power was a 2016 project led by artist Jack Brown in partnership with Children and the Arts and Saatchi Gallery. 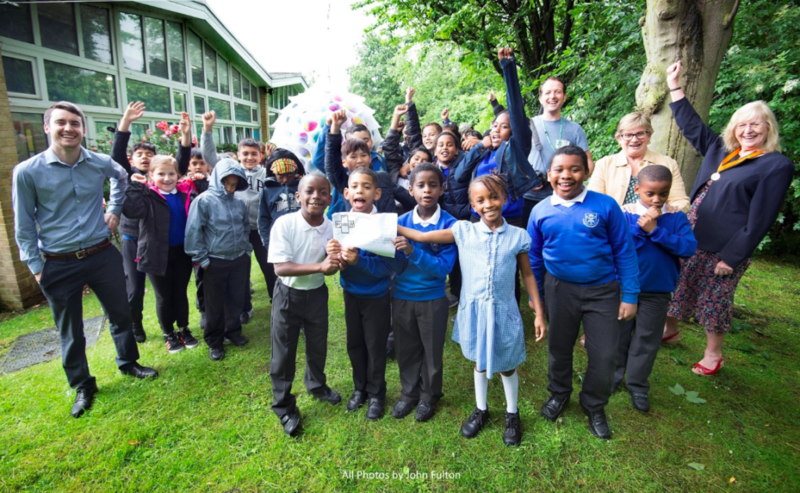 It took place in 3 schools in Tottenham, London – Northumberland Park Community School, St Paul’s and All Hallows Primary School and Risley Avenue Primary School. We will make an artwork that is made of repeated shapes. we want people to feel excited when they see our artwork. We will work on our our parts of a bigger artwork that will fit together. we want people to feel happy when they see our artwork. To ensure that the sculptures would all be weather-proof and robust artistically and practically, Jack used his expertise as an artist to shape some parameters, but left the execution and artistic method in the hands of the participants. The children and young people felt total ownership of the project and their pride in the final outcome was very visible. As well as co-creating the sculptures, they also designed tours to explain the work, and took part in the organisation of the project, inviting other schools to come and visit. Jack cites a number of things as being crucial to the democratic development of the project. The relationships with the schools were all in place, he’d worked there before so there was trust on both sides, allowing them to take longer and take more risks. There was also support and encouragement from the commissioner, who were happy to leave outcomes more fluid and allow for experimentation. 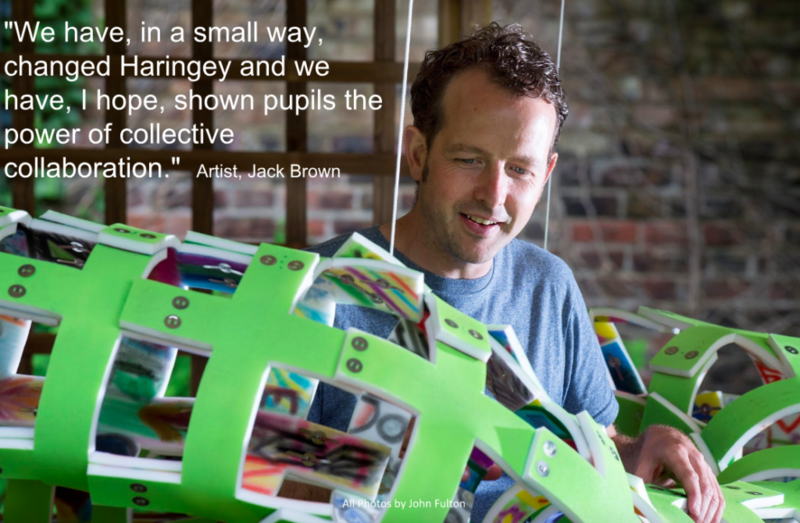 Jack’s work as an artist centres around protest and public space and he found that although his ideas obviously influenced the project, he was also influenced in the rest of his work by this and other education work he’s been doing. More recently, he’s worked with the support of Salford University and Salford Museum and Gallery to develop a programme called Encounters, which encourages young people to explore and get hands on experience to investigate pursuing a career in the arts. He talks about the importance of empowering young people to develop and use their influence, nudging and pushing within organisations and institutions in the same way that he does as an artist. He is currently part of Paradise Works, a collectively run initiative offering studio space and support to artists, democratising existing space and using collective power to influence developers and local stakeholders.